I AM VERT SORRY TO HEAR OF YOUR LOSS. I REMEMBER EATING BREAKFAST WITH OTGER ON KOLPING'S TRIP TO GERMANY AND HE TOLD TO TRY WHAT I THOUGHT WAS BUTTER WITH BACON BUT TO MY SURPRISE IT WAS LARD ANCD AFTER EATING IT MY STOMACH WAS NOT THE SAME. HE WAS A WONDERFUL MAN. My heartfelt sympathies go out to the family and friends during this difficult time. I hope that the promise in 1 Thessalonians 4:14 can bring comfort. Knowing that there is a hope for ones we have lost in death can be so reassuring. He was my regular customer at the bank. He was just a super positive person. Nice man..and loved his German talk...rest well...very active man. One of the kindest, sweetest, most selfless and intelligent men I have ever known. It was truly a pleasure knowing and caring for you. He never had a bad word for anyone. Ott, I will miss you you more than you know. You will always have a special place in my heart. Give my Missy a big hug for me. My grandfather Lou Hiltenberger considered Otger one of his best friends. There were 30 plus years difference in their ages, but kindred spirits. I remember Otger as a very kind and caring man, always willing to help my Grandpa Lou. I'm sorry for his family's loss. 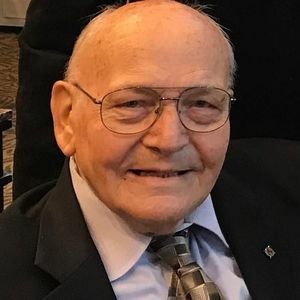 Life Stories provides friends and families a forum to post their favorite stories and memories of Otger G. Kappen ensuring the precious experiences are never forgotten. Share joyful times, post a photo that captures the moments you cherish, and allow others to reply, relive and remember.